Wow! 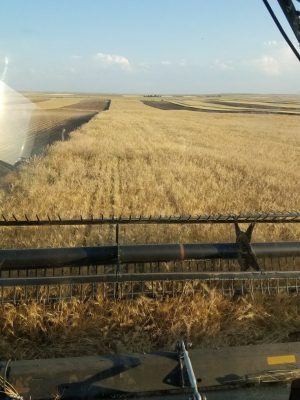 It has been an interesting wheat harvest this year to say the least. We were officially in the field on July 14th. That was seventeen days ago, and we still aren’t done! Typically harvest would last 6-10 days. 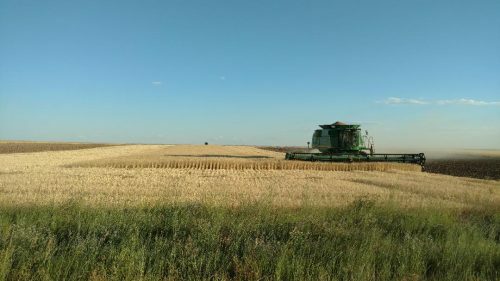 Wheat harvest always creates so many wonderful memories every year, and this year hasn’t been any different. manner despite all the challenges. Gregor’s nephew, Taylor came up from Colorado with his children Tanner and Jayden to help with harvest as well. Taylor and his family enjoy coming up to help, be with family, and stay connected to the farming traditions. Cindy has spent her time in the kitchen, shuffling vehicles and people, and keeping up with Wyoming Pure orders. It is always a challenge to decide what meals to take to the field at night and to feed the entire harvest crew. 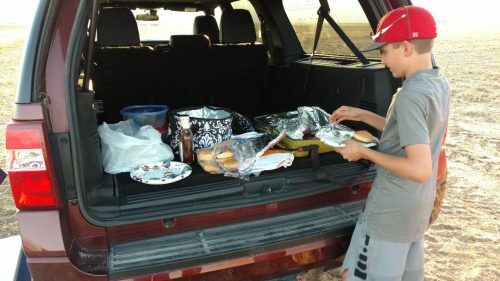 We typically take a hot evening meal to the field because the crew doesn’t have time to stop and come to the house to eat dinner. This year Cindy has made, Mexican Lasagna, Tater Tot Casserole, Chicken Enchilada Casserole, brisket sandwiches with cheesy potatoes, and much more. We hope to be finished with harvest by August 3rd, but there is cool weather and rain forecasted between now and then. It is also county fair this week, so we will definitely be busy. We’ll see you next month with updates on harvest, fair, and maybe some recipes!